The new Windows 10 Insider Build 17074 also includes Spectre and Meltdown mitigations for Windows 10 Insiders. Microsoft fittingly released Windows 10 Insider Preview Build 17074 in the late hours of Thursday afternoon. 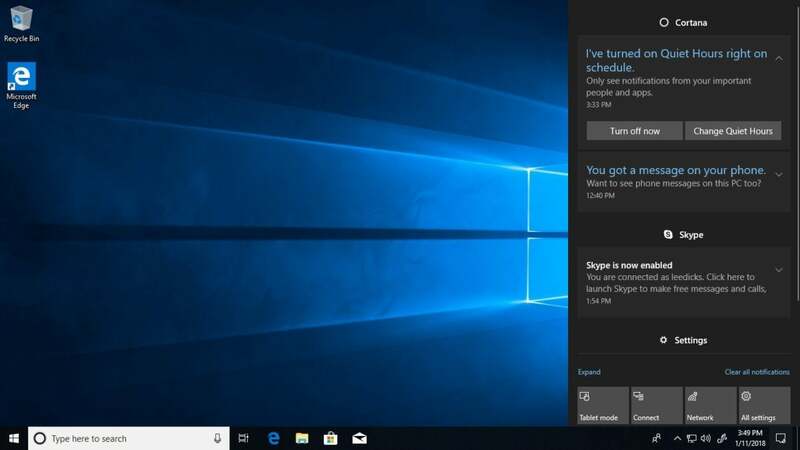 The new build adds improvements to Quiet Hours, which will automatically dial down notifications, as well as a host of other improvements such as autofilling forms in Microsoft Edge. As might be expected, Microsoft’s first Insider build of 2018 is a large one. Though the majority of changes might be classified as cosmetic rather than substantive, one of the most significant areas of improvements includes ebooks, whose interface now is both more user-friendly and consistent. It’s also worth noting that, while Microsoft has reportedly rolled out mitigations for the Spectre and Meltdown vulnerabilities in its Janaury rollup updates, this new patch also includes (possibly new) mitigations to protect Windows Insiders from both vulnerabilities. One of the most noteworthy features of the new build is an improved version of Quiet Hours, which you can program as a (well, almost) Do Not Disturb feature. While Quiet Hours is on, you won’t receive as many notifications as you might otherwise, and they’ll be restricted to your most noteworthy people and apps. Microsoft’s Quiet Hours dials down the notifications, but they’re still there. This is a way overdue feature for Microsoft Edge: It’s been eight years since Chrome added autofill into its own beta channel. Finally, Microsoft Edge will store your credit card within the browser, and you can select the card from a drop-down menu to auto-populate the information. The CVV info is never saved, though, so you’ll either have to memorize it or haul out the card anyway. Microsoft spiffed up its ebooks experience, which is also part of Edge. 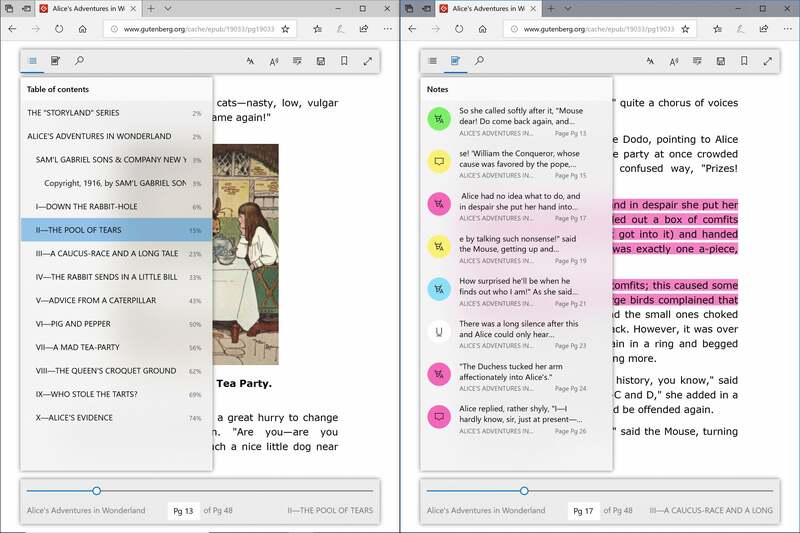 First and foremost, the company gave ebooks stored as EPUB, PDF, and Reading View a fresh new look, compliments of its Fluent Design aesthetic. Finally, too, you can read them in a full-screen mode. There’s a new look to ebooks within Edge. 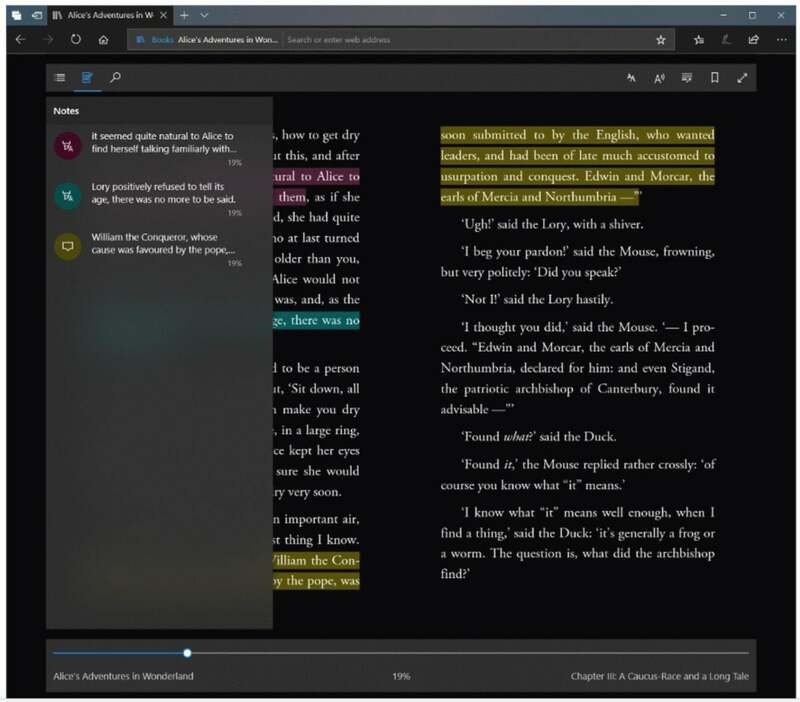 Edge does a better job of keeping track of your progress and notes as your ebooks roam among devices, Microsoft said. Here’s how Microsoft maintains its progress within eBooks you read within Edge. Microsoft added support for EPUB Media Overlays. That’s a fancy name for a customized audiobook experience, where Edge will highlight words as the narrator reads them. Finally, Microsoft’s bookstore will even make suggestions if (god forbid) your ebook library is empty. One challenge Microsoft faces with offering so many ways to input data within Windows is that not all of them progress at the same pace. Microsoft’s emphasis these days is the pen, which received an improved handwriting recognition box as part of the Fall Creators Update. That box now triggers when you tap the pen on a text field, so you don’t have to fumble with the software keyboard in tablet mode. 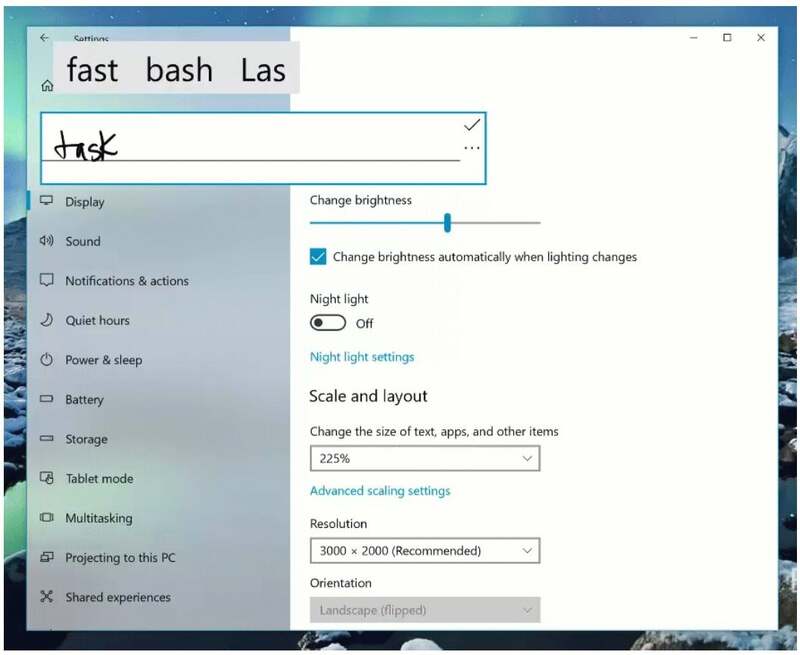 Windows 10 now recognixes text “written” within text fields. 5. Is a Windows S revamp coming? It’s not clear whether this is significant, but this build includes some new terminology for Windows 10 S.
It’s a little hard to say what this means right now, but we may find out more in the future. While those are the major improvements to build 17074, there are a number of other, smaller enhancements. The blog post lists them all, including the possible issues and their workarounds. Remember, the next (unnamed) version of Microsoft’s Windows 10, aka “Redstone 4,” is due this spring, most likely in late March or early April. Clarification: The new build improves Quiet Hours, rather than adding the feature to Windows 10.